In 2010, Ann Imig organized a live-staged reading event in Madison, Wisc., to bring together her community—mothers and non-mothers alike—and provide a forum for a diversity of voices to share their personal stories. These readers spoke honestly and openly about motherhood, family, childhood and parenting. And so, the Listen to Your Mother movement was born. This one event quickly grew into an annual national performance sensation, with nearly 40 nationwide events scheduled for May 2015. 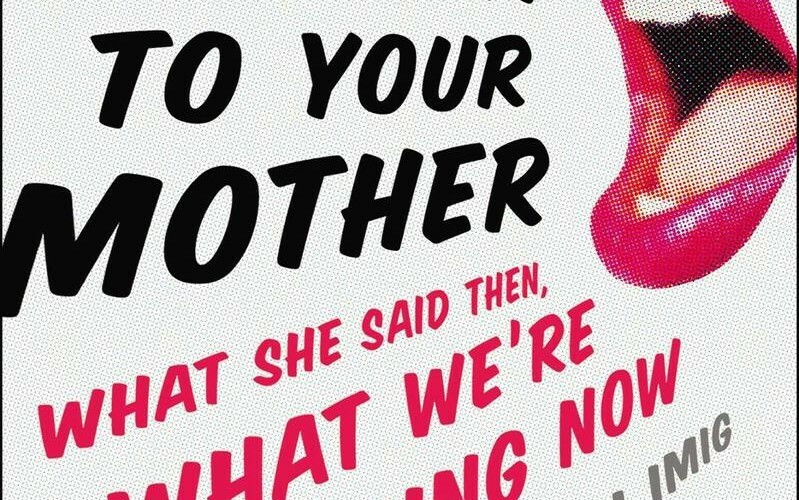 Now, in Listen to Your Mother: What She Said Then, What We’re Saying Now, Imig brings to the page what she helped bring to the stage five years ago with this collection of 56 candid, funny, poignant, unexpected and soul-bearing essays. The contributors to this powerful anthology bravely share their stories, ranging from hilarious to heartbreaking, showcasing the experiences of ordinary people from a broad spectrum of racial, gender, and age backgrounds. With a roster of writers that includes first time essayists and New York Times-bestselling authors, Listen to Your Mother reflects our diverse contemporary lifestyles and rapidly changing definitions of motherhood. While some are paeans to the mother we might not have appreciated as children, unaware then of how hard a task motherhood can be, others fully embrace the power of their family matriarchs. A woman faces the painful truth that there is nothing she can do to save her mentally ill, homeless mother from the streets. A military mom raises her baby alone when her husband is deployed to the Middle East. A mom tries to hold it together while battling cancer. One mother recounts the elation and ultimate heartbreak of an unplanned pregnancy in middle age, while another shares the years of sadness that accompanied her decision to give her baby up for adoption. Listen to Your Mother delivers the collective voice of mothers among us and celebrates less conventional arrangements. Mothers write of their personal struggles in the day-to-day job of mothering, of trying to raise a child who is not spoiled, of navigating single motherhood after divorce or death, and of dreading the body image issues that will one day inevitably undermine a young daughter’s confidence. “Listen to Your Mother. It’s a cliché, it’s the sixth commandment, and it’s an imperative for curbing children young and old from poor life choices like jaywalking and sixty-four ounce sodas,” Imig writes.